Brussels, 15 November 2016. 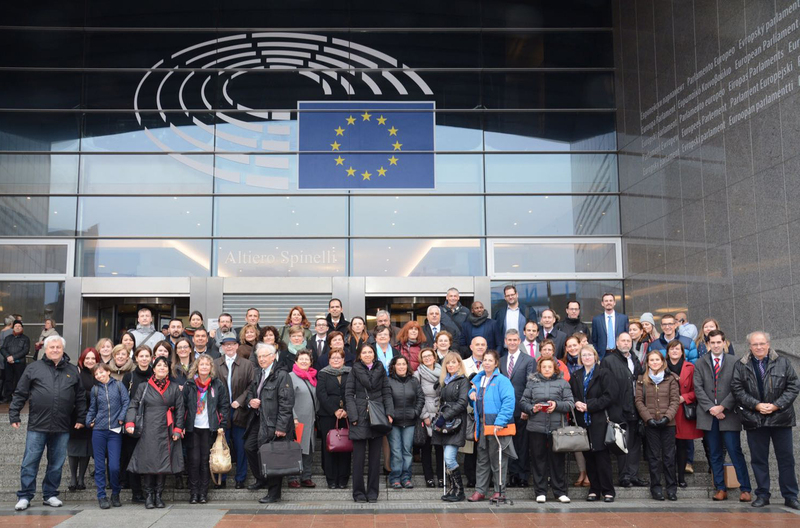 The European Federation of Crohn's & Ulcerative Colitis Associations (EFCCA), the Global Alliance for Patient Access (GAfPA) and representatives from several immunomodulated disease groups gathered in the European Parliament for an open debate with Members of the European Parliament about patient safety and patient rights especially as it pertains to biosimilars and biologic treatments. “Patient empowerment is a strategic objective that will lead to a better knowledge of unmet needs and to reduce health inequalities in the EU. It is therefore crucial to include patients in the decision making processes ensuring optimal treatment plans and outcomes,” said Martin Kojinkov. See above for full press release, agenda and presentations.